Stockholm’s skärgården (archipelago) made up of c.30,000 islands, islets and reefs. Sweden population July 2018. Stockholm population 2017. Percent of Swedish people with a foreign background 2017: “Foreign background include foreign-born and Swedish-born with two foreign-born parents”. The year Stockholm was founded. The year ABBA split up. Worldwide Broadband Speed League 2018. Nordic countries take three of the top five positions, with Sweden ranked number two in the world. International tourist arrivals forecast for 2028. Sources: Statistics Sweden. Visit Sweden. Encyclopaedia Britannica. Cable. World Travel & Tourism Council. Eventus International organised the first Scandinavian Gaming Show, held 5-6 September in Stockholm. Stockholm is wonderfully located, encompassing the beautiful Stockholm archipelago. Stockholm, and indeed Sweden, has a diverse population with 24.1% of the country’s 10.2 million people of foreign background. This diversity translates to international tourist arrivals, which is seeing its Chinese market averaging 40% growth. Sweden is on our radar because in January 2019 it will legalise online gambling for licensed operators…except for the licensed, incumbent land-based operator, Casino Cosmopol AB…which will also not be allowed to offer sports betting, even though it is a subsidiary of Svenska Spel…which does offer sports betting. As Simon Thomas from The Hippodrome Casino notes on page 5 of this issue of Casino Life, “Perhaps it is time to…modernise (gambling) regulations more generally.” While Simon is referring to the UK, I think the same logical arguments to modernise gambling laws can be applied to many countries, including Sweden. Returning to the Scandinavian Gaming Show, it was a good networking event. Attendees met with industry contacts they knew already. For myself, that included Per Jaldung and Nina Ehnhage from Casino Cosmopol, and Michael Mrak from Casinos Austria. It also allowed attendees to make new contacts, which for me included David Webb from Bet Construct and Adam Noble from Play’n GO. 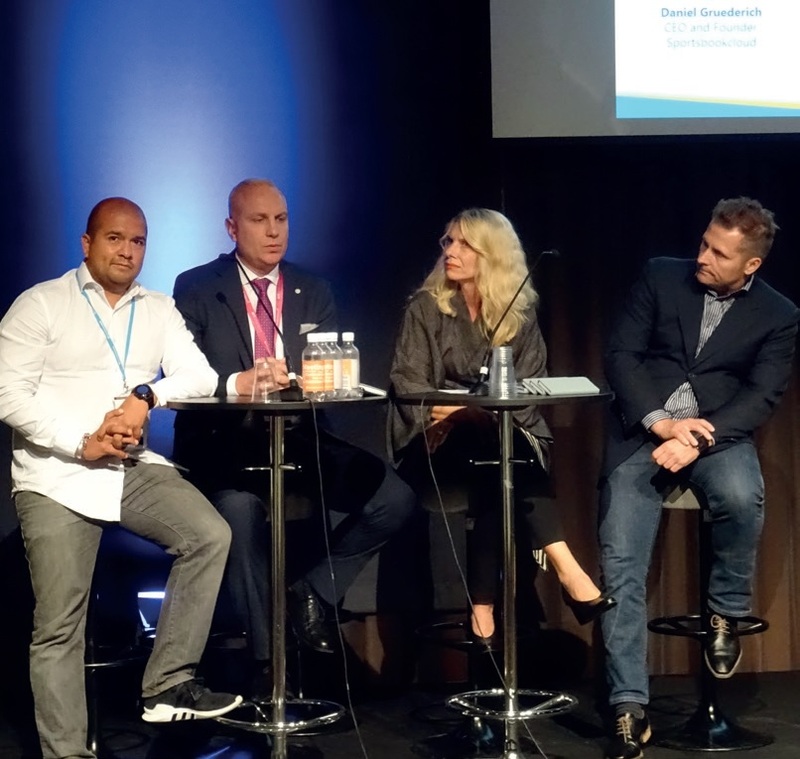 Many educational presentations and panel discussions were held during the two days of the Scandinavian Gaming Show. I learned commercially valuable information from the various speakers, including that data will grow 40% annually to reach 44 zettabytes by 2020. This growth will make data capture, storage, analysis, privacy, and commercialisation an increasing challenge for operators — important, as ours is an industry of both ‘soft and hard’ data. From the legal team at Kastell, a great overview of commercial changes the new gambling laws will bring in. This will include fines of up to 10% of any operator’s Swedish business. Perhaps more soberingly for all those aggressive online-only operators, any breach could be a criminal act that could result in jail time for offenders. Intriguingly, Sweden has already seen some court actions and corporate personnel changes. With the new laws coming into effect 1 January 2019, one thing is certain – exciting changes will happen in Sweden.